If I was stuck on a deserted island with only one pair of socks, they would have to be Darn Toughs! I can’t really remember where I got my first pair of Darn Tough socks, all I know is I was sick and tired of my $15/pair SmartWool socks wearing out after only a few months that I was attracted to a sock with TOUGH in its name. Darn Tough socks are so tough that they come with an unconditional lifetime guarantee meaning the makers of Darn Tough so believe in the durability of these babies that if they aren’t the best darned socks you have ever owned you can return them for a new pair or money back no questions asked. The Darn Tough No Show Ultra Light Running Socks are absolutely perfect for runners and cyclists so much so that every member of my family got a pair for Christmas. The ultra high stitch count makes for a super comfy sock and the seamless construction reduces hotspots and blisters making for some seriously happy feet. I’ve been running in a pair of Darn Tough Ultra Light’s for the past six months and they still look like new. They don’t bunch or slip and have kept my feet plenty dry and cool. I’ve honestly worn these socks days without washing and getting them to stink is darn near impossible since Merino Wool is naturally antimicrobial and repels odors no matter how hard you try. Socks made from synthetics make my feet feel hot, but not my Darn Tough’s – they feel sort of like a second skin, but more comfortable I swear! 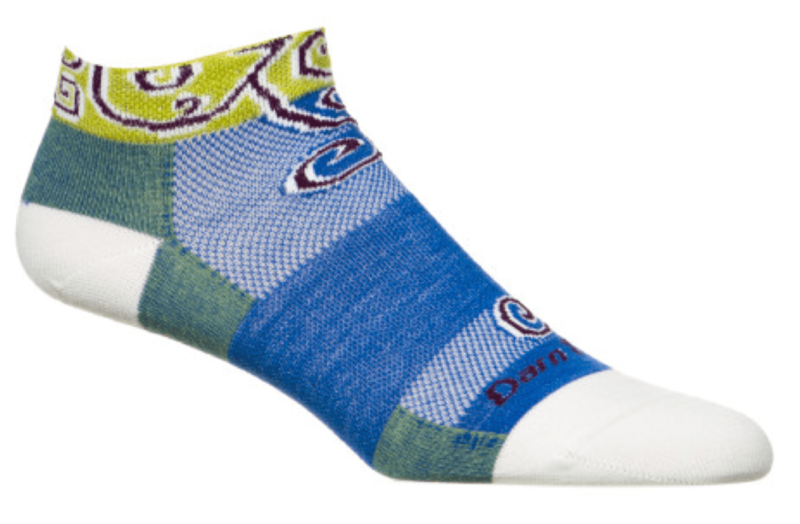 Darn Tough socks are available in no-show, quarter, crew, and knee high with all sorts of cushion levels in plenty of fun colors and designs. Their lifestyle socks are super cute and my Darn Tough knee-highs look awesome with my Keen Delancey boots. I keep begging them to make compression socks so I hope those are in the works! One more thing. Darn Tough socks are all made in VERMONT, USA and not many companies can say that these days. To quote Darn Tough, There’s a sign in our mill that states, “Nobody ever outsourced anything for quality.” Our feeling is that when you’re really serious about something you make it yourself. Where to Buy Darn Tough Socks? Darn Tough Store – for best selection!